Novak Djokovic leads the H2H 24-22, including winning seven of their last eight meetings. However, Rafael Nadal is in an exceptional form at the moment, especially on clay while Noak Djokovic is slowly finding his range since returning from the elbow injury which makes Nadal the big favorite in this contest. 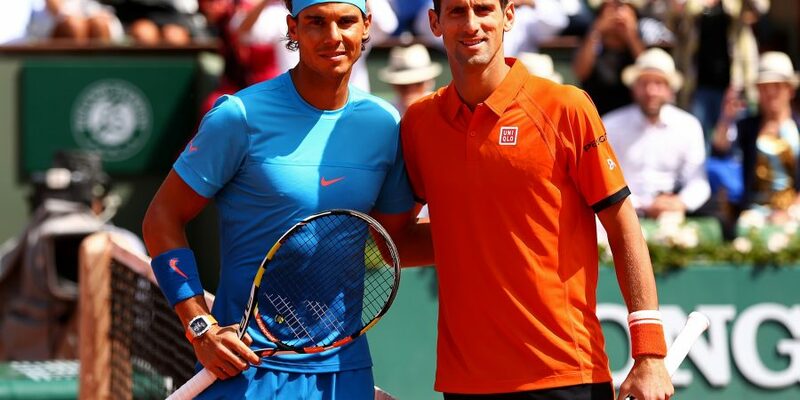 Given the circumstances, the pressure is on Rafael Nadal as winning a set or playing out a close match will be considered a success for Novak Djokovic. Rafael Nadal and Novak Djokovic resume the 51st edition of their rivalry in Rome on Saturday. It’s been 370 days since they last met in the semifinal of Madrid Masters 2017 when Rafael Nadal scored a comprehensive straight-sets victory (6-4 6-2) to end his seven-match losing streak against the Serbian. Novak Djokovic fought back from a set down to beat Kei Nishikori for the second time in two weeks to set up this blockbuster and much-awaited clash with the world #2 Rafael Nadal. This will be the Serbian #1’s first semifinal appearance on tour since defeating Daniil Medvedev in the semifinal of ATP Eastbourne 2017 (grass). Though Rafael Nadal has a great rivalry with Roger Federer, Novak Djokovic has been his ultimate challenger over the years. No one has ever dominated Nadal like the way Djokovic did during his peak years. Rafael Nadal led this H2H match-up by 14-4 until the Madrid Masters 2009, but Novak Djokovic currently leads by 26-24, goes on to show how much the Serbian has dominated this matchup in the recent years. “Tomorrow is going to be the ultimate challenge on clay. Beating Rafa is a really difficult thing to do on this surface. But, I’ve done it before.” – says Novak Djokovic ahead of facing Rafael Nadal on Saturday. While no player has beaten Rafael Nadal even four times on clay (3- Gaston Gaudio and Dominic Thiem), Novak Djokovic has done it seven times in the past, including thrice in the Rome Masters (six meetings in Rome). Rafael Nadal had to recover from a set deficit against Fabio Fognini to avoid a fourth consecutive quarterfinal exit from Rome and second successive quarterfinal defeat in as many weeks (QF exit in Madrid last week), 4-6 6-1 6-2. If not for Djokovic’s emergence, Rafael Nadal would have easily surpassed Roger Federer’s grand slam tally. The way Novak Djokovic built his game to neutralize Rafael Nadal’s strength had a significant impact in the Spaniard’s career (like how Nadal had an impact on Federer’s career). In his previous 13 appearances here at the Rome Masters, the seven-time champion has never lost a semifinal match, with the recent semifinal win coming against Grigor Dimitrov in 2015 (lost to Djokovic in the final).